To welcome the Year of the Fire Monkey, we’re partnering with Feng Shui specialist Donna Stellhorn to host a special two-part event in our Santa Ana – South Coast Plaza store on Thursday, January 21 and Saturday, January 23. On Thursday, Donna will lead an interactive tour while sharing the Feng Shui values of Room & Board modern designs. She’ll return on Saturday to lead additional tours and sign copies of her new book, Year of the Fire Monkey. Asian-inspired light bites and refreshments will be offered both days. We chatted with Donna to learn more about her background and passion for Feng Shui. For people who aren’t familiar – what is Feng Shui? Feng Shui is the ancient Chinese art of placement. Feng Shui is based on the concept that everything present in our environment affects us: the colors, shapes, symbols, building layout, furniture, and décor affect our energy, mood, and decision-making process. We’re all affected by the décor of a place. We may not think so per se, but places that are run down cause us to feel less hopeful. We are more apt to think it’s not worth the effort to try something new. When we see a neighborhood with flowers and manicured yards we become more optimistic. We feel a sense of possibility, the desire and willingness to take on new projects. When we are faced with a cluttered desk top, it’s more likely we’ll avoid working on our finances, and instead watch TV. A messy kitchen can cause us to gain weight because it’s so much easier to pick up some fast food. A bedroom filled with old garage sale furniture can cause us to avoid looking for a new relationship. Thousands of years ago it was found that if you set up a particular environment—often a temple or a palace—in a certain way, the people in these environments would make better decisions. They would become more prosperous and happy. Scholars of the time collected this information and created a system they called Feng Shui. In the West we know this system as well, nowadays we call it Environmental Psychology. How were you first introduced to Feng Shui and how did you build your career around it? I’ve always had an interest in design and décor. I love to see inside other people’s houses and to know why people chose their colors, furniture, and artwork. But more than that I craved an understanding of how to create a harmonious space. My childhood home was full of kids, noise and construction. So I grew up looking at how other people lived to see the contrast. When I found Feng Shui in the late 80’s it was like discovering the Rosetta Stone. Suddenly I found there are rules to placement and tangible results that could be felt by the family from color, texture, and materials used in the home. My first book on Feng Shui was published in Switzerland in 1997 and my second Feng Shui book was in English and came out in 2006. Now for more than 20 years, I’ve been helping people with their homes and businesses using the principles of Feng Shui. Is Feng Shui becoming more popular in the U.S.? If, so why do you think that is? Feng Shui has become more mainstream and incorporated into our everyday thinking. More and more people are familiar with the basic principles and see the value in applying them to their own homes and businesses. But probably more important there are many scientific studies now that point to how much décor and design affect our choices, emotions and ultimately our actions. These findings are now being incorporated into business designs, retail stores, and restaurants to both boost sales but also to make the patrons more comfortable. What are some easy Feng Shui principles people can apply to their home now? To create a more harmonious environment start by reducing clutter. I define clutter as stuff that doesn’t have a home. Just looking at a cluttered space can make us tired and not interested in doing much of anything. Removing clutter and creating open, clear spaces lift the mood and gives our mind a peaceful landscape to look at. When removing clutter start near the front door. The front door represents the portal in which new opportunities can come into our lives. Keeping the entryway clear and free of clutter allows positive energy into the home. Keep yourself mindfully focused on your goal by having a symbol or representation of your goal in the entryway. If it’s your dream to live in a beach house someday, place a picture of the ocean in your entryway. This primes your mind to look for opportunities that lead you to your goal. Or if peace and joy in the home is your goal then place a vase of pretty flowers in the kitchen. The sight of beautiful, live flowers lift the spirits and makes the soul sing. Feng Shui can also shift very specific energy. If a young child has trouble sleeping in their own bed it could be because of the position of the bed in the room. Place their bed on two walls so the head of the bed and the side of the bed each touch a wall. Also, place the bed so the child can see the door from the bed. This will help the child feel more secure so they can rest more peacefully. For people who work at home, the best place for a desk in the home office is in a position where you can both see the door and see out a window. The door represents the potential for opportunities. The window represents a vision for the future. A nice swivel chair gives you a view of both. How does the Year of the Fire Monkey affect Feng Shui choices? Each year there’s an Animal Sign and an Element and this gives us an overall perspective of the energy for the year. It’s like a trend, it gives us clues to what we’ll find interesting and be talking about. 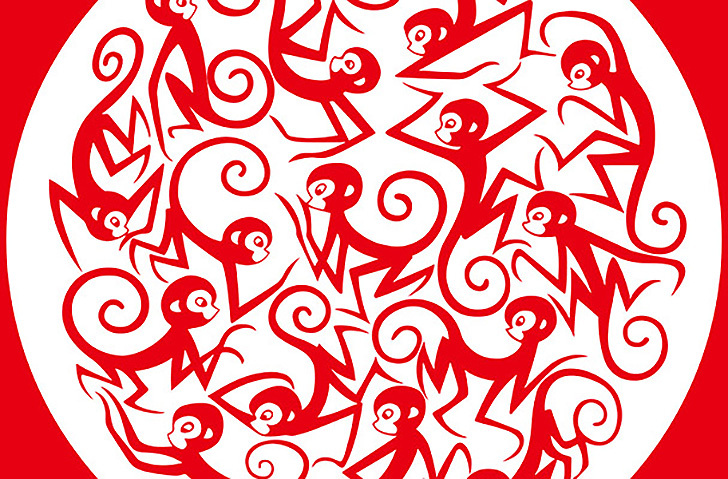 Fire Monkey is lively energy, innovative and creative. It’s fun and playful. So when we look at the décor of a home people will find interest in furniture that feels fun. People will be subconsciously drawn to things with ladders (for climbing), large flat surfaces (for jumping on) and really innovative design. In Monkey years we want to have our creativity stimulated by the environment we live and work in and so we’ll be drawn to décor that allows us to express our inner artist. 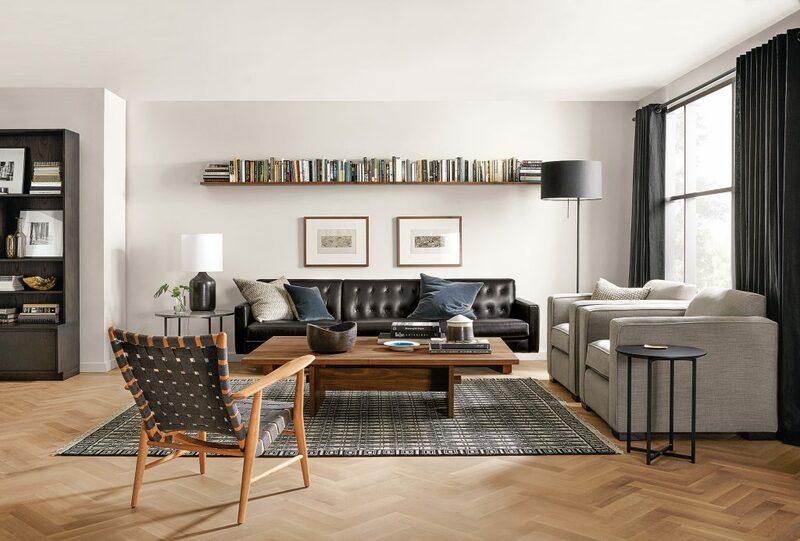 Can you describe how Room & Board’s collection of furnishings and home decor tie into Feng Shui? What particular products come to mind? 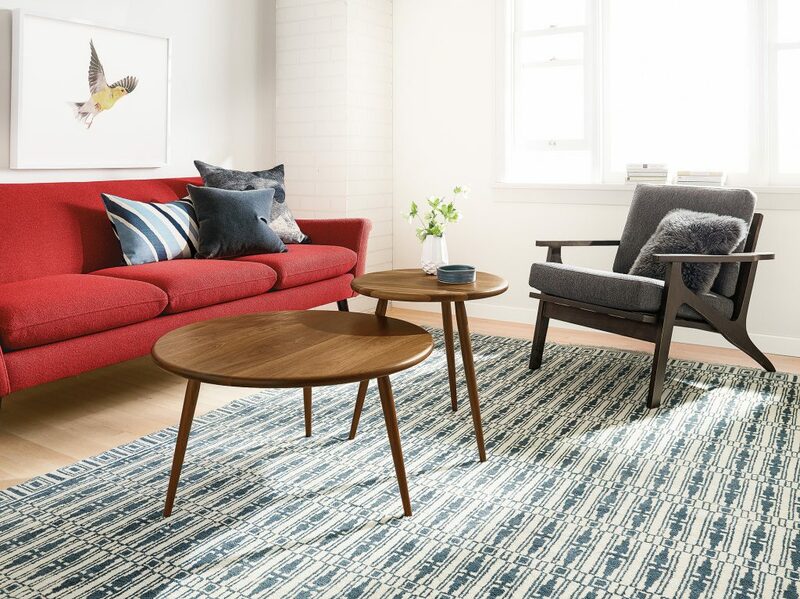 Room & Board’s collection of furnishings uses natural materials and a marriage of beauty and function. It’s timeless design but with energy and excitement. For example, in this vignette, we see the strong linear lines the Mantel wall shelves representing solid, grounded, practical energy. By pairing it with the unexpected lightness of the Ira chair, it helps to bring a lighthearted energy to the room. 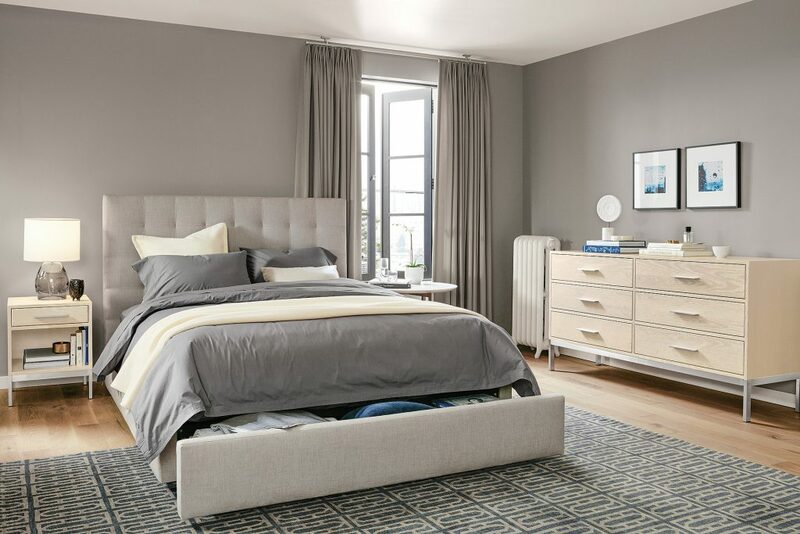 Another example is the Avery tall headboard bed. The high, solid hardwood frame has soft and tufted upholstery but gives the sleeper the sense of security. A headboard such as this is ideal for a bed that may be on the same wall as windows. It will help a person sleep knowing they are safe from prying eyes. Walnut, as seen on the Wilder coffee and end table, is a very popular material for Room & Board furniture. The walnut, in Feng Shui and in other cultural lore, represents intelligence and wisdom. In the ancient Doctrine of Signatures, it’s said that a food that looks like a part of the body will help that body part. A walnut looks like a little brain and therefore it’s considered in many traditions to aid in brainpower.